MSC Cruises have announced the fourth ship in their new Fantasia class will be built by the STX shipyard in France, rescuing an unfulfilled order from a competitor. The MSC Preziosa will be a 140,000 tonne cruise liner and is the sister ship of MSC Divina, which is due to be christened in May this year. MSC Preziosa will boast 1,751 cabins across 14 passenger decks, and will of course include the popular MSC Yacht club. Mr Pierfrancesco Vago, CEO MSC Cruises said: "The new ship represents an investment of €550 million and will be delivered at the end of March 2013. Negotiations with STX France have lasted over nine months; a significant but understandable period of time considering the importance of the investment and the unexpected nature of the takeover. When MSC Preziosa is delivered we will have four ships of every class, giving us a total capacity of over 40,000 berths and the strength to sail in all seas. MSC Preziosa herself will sail the Mediterranean, exploring the beauty of Greek Islands, which represents the highlight of European cruising." Laurent Castaing, STX France General Manager, said: "STX France is delighted with this successful outcome after months of negotiations. The length of time necessary to settle them is the perfect illustration of the challenges faced by the cruise industry in terms of financing, which impact our industry directly. 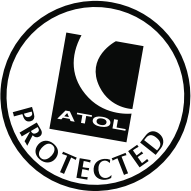 It’s the new Achilles’ heel, after competitiveness, on which our efforts are now focused. In this context, the integration of X32 into the prestigious MSC Cruise’s fleet is a relief and a real pleasure for STX." MSC Preziosa will be filled with a fantastic choice of restaurants, entertainment and staterooms and will rival any ship in the company's fleet. With four main restaurants, two speciality restaurants and 21 bars to enjoy, your taste-buds will be kept whatever your mood. Plans include four swimming pools, including an infinity pool, 12 whirlpools, a sports area with playing fields, a fitness centre and the superb MSC Aurea Spa. With the MSC Preziosa including a bowling alley and a certain cruise line, that has onboard bowling alleys, not taking up the option for a second ship earlier this year, there are bound to be a few rumours to her origin. Regardless of whom originally ordered this ship, if MSC Presioza is as fabulous as she looks to be, then no one will care. 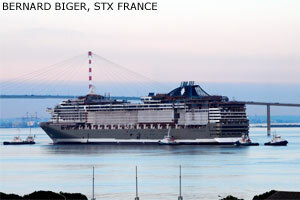 MSC Preziosa will be another wonderful ship to grace the Med and her delivery will be welcomed by all, especially STX.